Originally published under the title, "Qatar Published Fatwa In 2006 Permitting Burning People — Removes It After IS Burns Pilot." 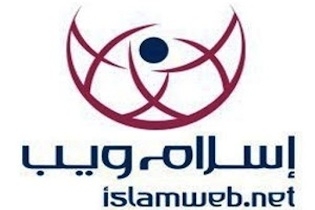 It appears that Islam Web, a popular website owned by Qatar's Ministry of Awqaf and Islamic Affairs, may have been responsible for the rationale used by the Islamic State to burn alive a Jordanian pilot captive. On February 7, 2006, the widely accessed Arabic website issued Fatwa No. 71480, titled "The Burning of Ias bin Abdul Yalil by Abu Bakr." The fatwa, or Islamic decree, concluded that burning people as a form of punishment is permissible. What is interesting to note is that the more recent fatwa issued by the Islamic State to justify the burning of the pilot makes the very same arguments as this 2006 Islam Web fatwa did — citing the same sources, hadiths, tafsirs, even the logic of "humility" — implying that IS may well have relied on this fatwa from the Qatari website when writing its own to burn the pilot alive — hence, why the fatwa has now "mysteriously" disappeared from Islam Web. Incidentally, Islam Web won the World Summit Award of 2007, on the basis that it is "the best interactive edutainment website for Arabic-speaking children by the consensus of the Jury which met in Croatia, in evaluating the productions nominated from 160 countries." Thanks to Rachid, a translation of the fatwa and image of the original Arabic before it was removed from Islam Web follow. The fact that the prophet – peace be upon him – forbade burning by fire is documented and stated in his holy hadith – peace and blessings be upon him – where he said: "No one punishes with fire except the Lord of fire," Narrated by Abu Dawood and Ahmad in his Musnad . The scholars differ as to whether this prohibition is for interdiction or just for humility; Ibn Hajar said in [his book] Fath Albari: "..Al Muhallab said: This prohibition is not for interdiction but just for humility, and the proof that burning is allowed is in the acts of the prophet's companions, the prophet – peace be upon him – burned the eyes of the Oranyeen [from Orayna] with heated iron [nails]. And Abu Bakr burned the aggressors in the presence of the companions, Khalid Bin Alwalid [Muslim Army commander] burned some apostates, and most of the scholars of Medina [the prophet's city] permit burning castles and ships, upon its people, this was stated by Althawri and Al-Awzaai. Ibn Mounir and others said: there is not a proof for permission, because the Oranyeen story was revenge, and the case of castles and ships is allowed with the necessity as a condition, if it was a way to achieve victory upon the enemy. As for the story of Abu Bakr (may Allah be pleased with him) burning Ias Abdul Yalil with fire is documented in the books of history. In the book (Alkamel): "Ias Abdul Yalil came to Abu Bakr and said to him: help me fight the apostates by giving me arms. He gave him arms and ordered him to follow orders; he came to Muslims and even went down to Aljoa, and sent Nokhba bin Abi Almithae of Bani Sharid and appointed him an Emir on Muslims, then he raided every Muslim in the tribe of Salim, Amer, and Hawazen. Abu Bakr (may Allah be pleased with him) heard about that then he sent somebody to arrest him [Ias] and bring him back. Abu Bakr ordered a fire to be set in the prayer court then he threw him [Ias] in it with his hands tied.